We are a leading Manufacturer of box stretch wrapping machine, pallet stretch wrapping machine and cling film wrapping machine from Chennai, India. 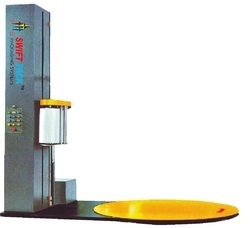 Box Stretch Wrapping Machine could be used for wrapping single cargo or some small cargos combined. Pneumatic top plate ensures it calm and safety packing. The packing height, fixed film carriage or up-down film carriage can be chosen according to customers request. 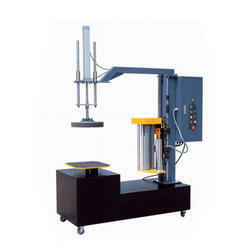 SPSW 2100 Pallet Stretch Wrapping Machine is designed to wrap stretch film around a loaded pallet. The film provides extra support while the products are being transported & storage to protect them from tip, spill or from being damaged. The wrapping type and times can be designed according to customers' requirements. The ramp is optional. 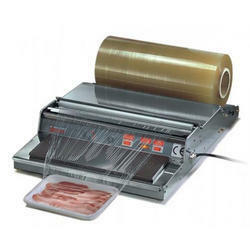 Backed by the technological expertise of professionals and our vast domain experience, we are offering Cling Film Wrapping Machine to our clients. Cling film tray wrapping sealer adopts electronic constant temperature control for cutting and shrinking. Cling film tray wrapping sealer is widely used to pack cling film on food, vegetable for retaining freshness, which is an ideal equipment for a supermarket, Noshery, and buffet.